How the Las Vegas shooting unfolded. 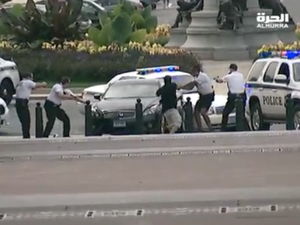 News THESE mass shootings – that is, four people being injured or killed in an attack – were happening once a day based on figures in 2015. Once per day. News DONALD Trump has called the mass Las Vegas shooting “an act of pure evil” in his first national address following the massacre. 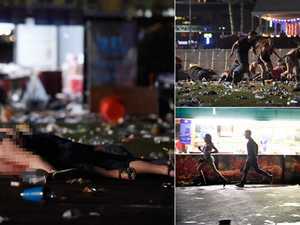 News A WITNESS to the deadly Las Vegas shooting has described seeing concertgoers “plugging bullet holes with their fingers” in the massacre’s bloody aftermath. 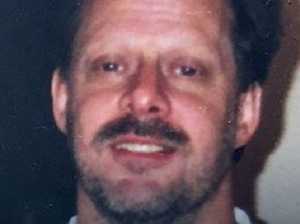 News LAS Vegas shooter Stephen Paddock had a stockpile of 10 weapons in his hotel room before carrying out America’s deadliest mass shooting.